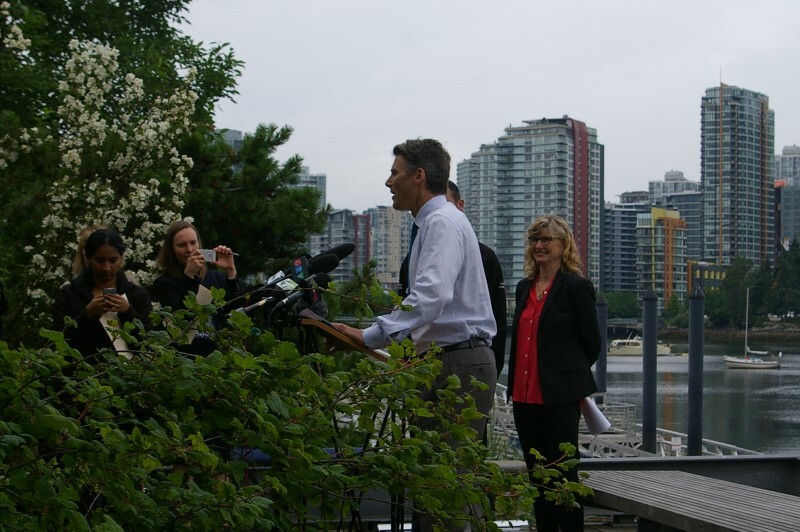 Vancouver’s Mayor helped launch one of our recent photovoltaic installations today. 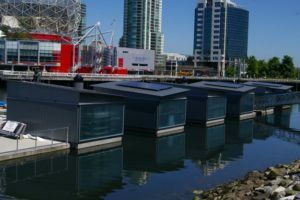 The project is on the City o f Vancouver’s Creekside Paddling Centre and was initiated by Solar Now. Funding for the project came from Clean Energy Canada, Community Energy Association, North Growth Fund, The Great Climate Race and Bullfrog Power. It is a 15.6 kW array which will generate over 16 MWh of power annually. 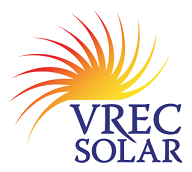 It uses Trina solar modules and Enphase micro-inverters. Trina modules were chosen based on their high ranking for pollution control during the manufacturing process. 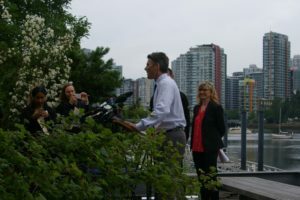 Mayor Gregor Robertson showcased this project as part of the City’s efforts to move to 100% Renewable Energy.